Wanted to take my fan off for polishing, alternator is fine. 24 years of corrosion had pretty well welded it to the alternator shaft. 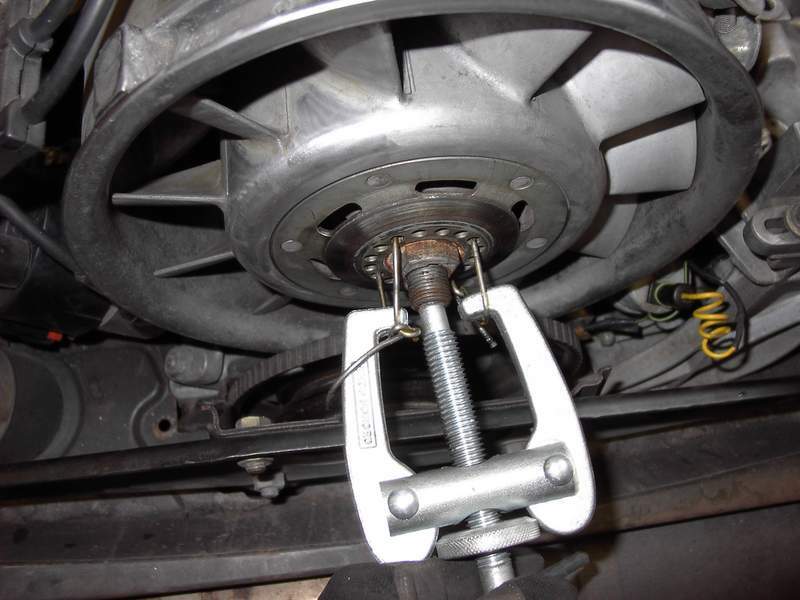 How to get it off without damaging the alternator bearings? A two-arm puller and coat hanger wire! Threaded coat hanger wire thru the little holes around the hub and twisted them, engaged the puller and began to crank. Once the tension on the wires got to the point I thought they might break I tapped the hub with a plastic hammer and 'pop', it broke free. 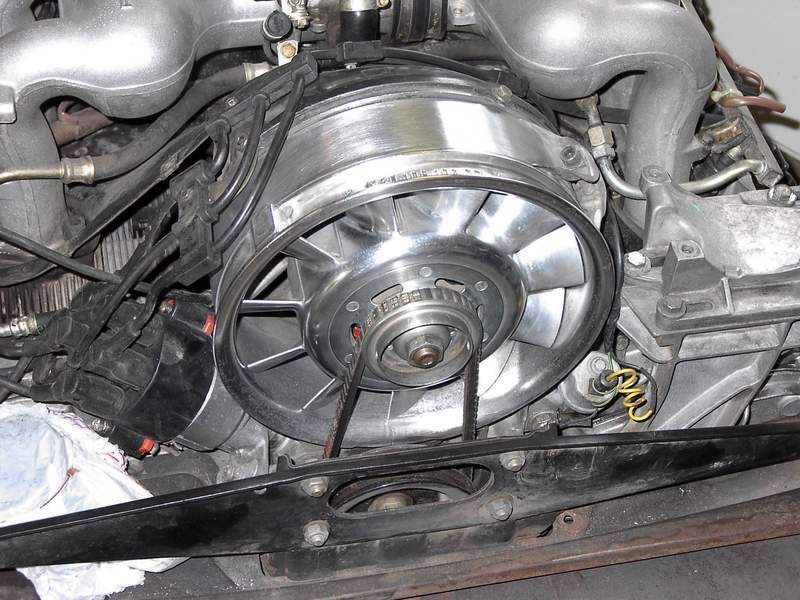 Absolutely no harm to fan or alternator. Thought I'd share. "Lowering the bar with every post!" Good time to check the housing for cracks. Very good idea - thanks. I did something similar by tapping a few of the small holes, but your way is easier. Nice! Please show us your finished project and any issues. ...didn't go whole hog like some before me. I know I'll be back every year to touch up, but ti looks pretty good from a distance. Always GREAT to see creativity at work. Compliments. Why does everyone like shiny?